Trinidad and 2 nights resort in Varadero. International airfare from any major City in Canada. Three Nights 4* Havana Hotel, other Hotels and upgrades to 5* accommodations available. Two Nights 3* Hotel in Trinidad, upgrades to 5* available. 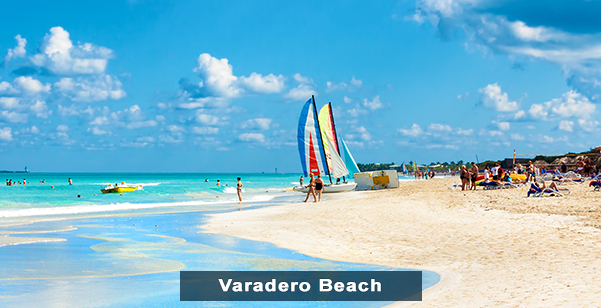 Two Nights 5* Hotel in Varadero all inclusive plan. Transportation by air conditioned Car. Arrive in Havana. Transfer to your selected hotel in downtown or Old Havana. Package includes 4* accommodation with breakfast included. Upgrades to 5* Hotels available. Overnight in Havana. Enjoy breakfast at your hotel. 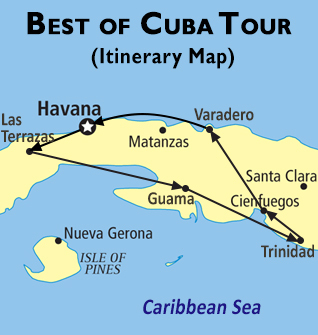 Explore the picturesque and historical city of Havana with a city tour starting in Old Havana. 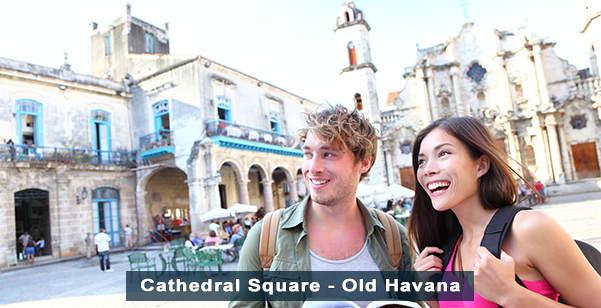 Old Havana is the most historic part of the city, and is proclaimed a UNESCO World Heritage Site. Next visit the main plazas or squares of Havana, the Plaza de la Catedral, Plaza de Armas, Plaza de San Francisco de Asis and the Plaza Vieja. For lunch, enjoy a traditional cuban lunch in a local restaurant. In the afternoon, visit the El Capitolio, or the National Capitol Building. 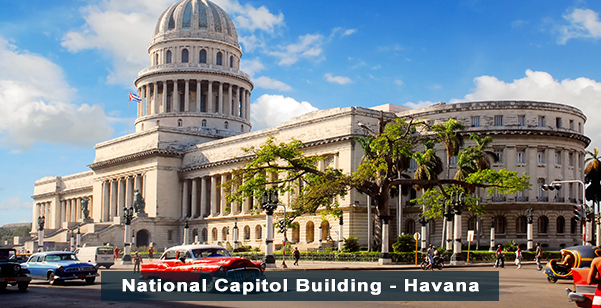 This building served as the seat of the government in Cuba until after the Cuban Revolution in 1959. The building is now home to the Cuban Academy of Sciences. After visitng the central and historic Parque Central, next, visit the Parque de la Fraternidad, a leafy Green parque established in 1892 to commemorate the fourth centenary of the spanish landing in the Americas. 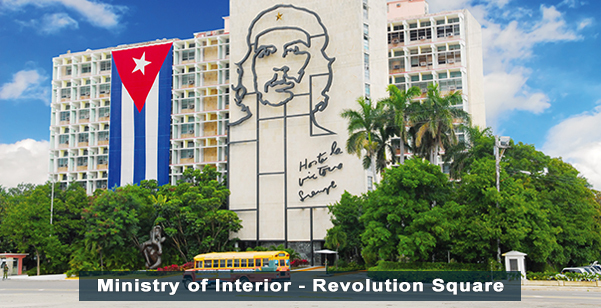 Visit the historic Revolution Square or Plaza de la Revolucion, where Castro makes his famous speeches every year. Finally visit the Havana Club Museum, a fantastic place where you are able to learn about Rum, the Cuban national drink. This is not your typical museum, but the space is also combined with bar and great music. Return to your hotel and stay overnight in Havana. Breakfast and Lunch included. After breakfast, travel to Las Terrazas, an ecological project located in Sierra del Rosario, a mountain range in the Pinar del R�o Province of Cuba. 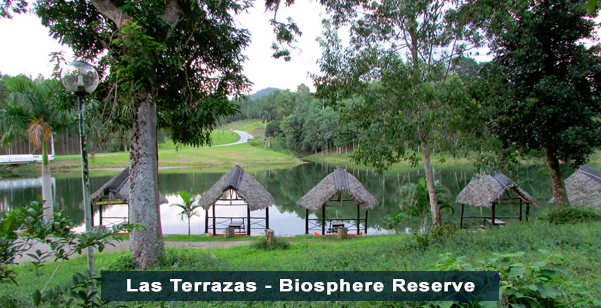 UNESCO declared Las Terrazas to be a Biosphere Reserve in 1984. The reserve is rich in flora and fauna and is filled with natural lakes and waterfalls. You will visit la Moka hotel, a intimate, and romantic 4 star hotel which is set apart by it's unique location amongst the hills. Visit La Union ranch, a quaint little atmosphere with extensive tropical plant garden. Visit the partially rebuilt ruins of the Buenavista coffee plantation, a 19th Century coffee ranch, where you will be given an extensive historic explanation about the process and the benefits of coffee and coffee making in that time period. Afterwards, socialize with the locals of the town and visit the main square and the shops nearby. Visit the Serigraphic or silkscreening shop and receive a detailed explanation of the area. View the work process of the local artisans and see the local handicrafts made right in front of you. Enjoy a pleasant lunch in the area, and if you wish, take a break to escape the heat and swim in R�o San Juan. Return to your hotel in Havana and stay there overnight. Breakfast and Lunch included. Enjoy breakfast at your hotel and after depart to Guam�, a municipality in the Santiago de Cuba Province of Cuba. Once there, take a boat ride to the Taino Indian Village, and view a replica of Cuba's aboriginal dwellings located in Zapata peninsula. After this take an adventurous visit to a Crocodile farm. Afterwards, enjoy lunch in a local restaurant. After a short rest, embark on your departure to Trinidad. 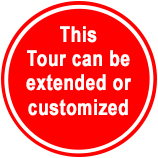 Upon arrival, your Guide will assist you with check in at your Hotel. Package includes 3* accommodations, upgrades to 5* Hotels available. Stay overnight in Trinidad. Breakfast, Lunch and Dinner included. 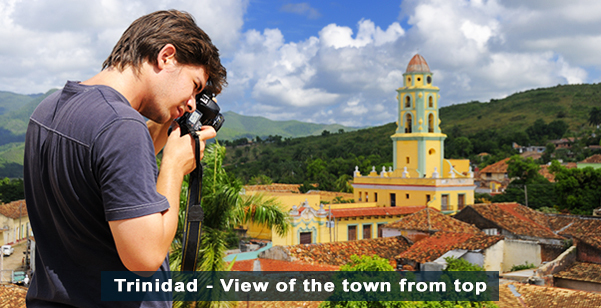 After breakfast, take a tour of the town of Trinidad, a town located in the province of Sancti Sp�ritus, central Cuba. Trinidad has been one of UNESCOs World Heritage sites since 1988. First travel to the historic center of the city, founded in 1514 - the Plaza Mayor. 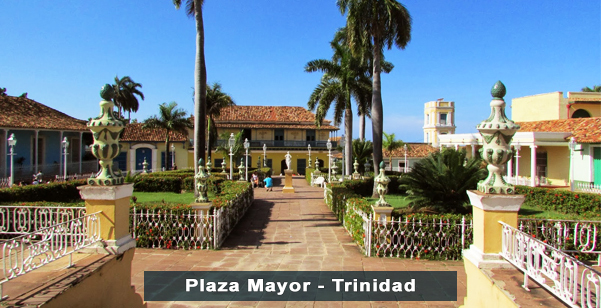 The buildings which surround this plaza (central square) date from the 18th and 19th centuries, where trade in sugar brought great fortune to the area. Most of the buildings which surround the plaza belonged to the wealthy landowners of the city. Afterwards, visit the old Palace of the Count Brunet, which now houses the Museum of Romanticism. Take a step back in time and view the beautiful furniture and decorative arts with which the aristocracy of Trinidad decorated their mansions. The museum houses a beautiful collection of jewels, porcelain, silverware, paintings and sculptures. Which formerly belonged to the Spanish nobility. Sant�sima Trinidad church, which houses some of Cuba's most treasured religious artefacts. Stop for a typical local cocktail entitled La Canchanchara at the La Canchanchara pottery and cigar factory. Enjoy a traditional Cuban lunch in a local restaurant and afterwards take time to roam and have free time in the city. Return to your hotel for dinner and enjoy a free evening. Stay overnight in Trinidad. Breakfast, Lunch and Dinner included. After breakfast, depart to Varadero. On the way, visit to the city of Cienfuegos, a beautiful city on the southern coast of Cuba most famously known as The pearl of the south. The city is located in a breathtaking bay, and is a charming waterfront location. In 2005, UNESCO claimed that the Urban Historic Centre of Cienfuegos earned a spot on the World Heritage List, citing Cienfuegos as the best example of 19th-century early Spanish Enlightenment urban planning. 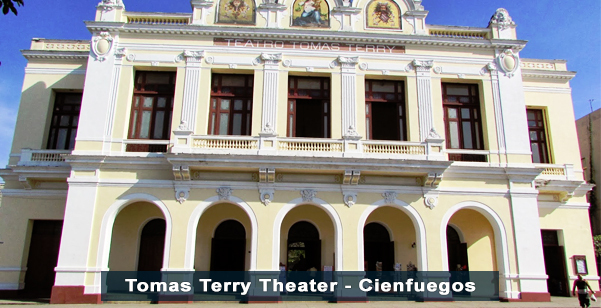 Visit the central of the city, the Parque Marti, and the luxurious Tomas Terry Theater, one of the most eclectic buildings in Cienfuegos. Other attractions include the Casa de Bienes Culturales and Cathedral of la Pur�sima Concepci�n. Enjoy your lunch in a local restaurant and return on your journey to Varadero. 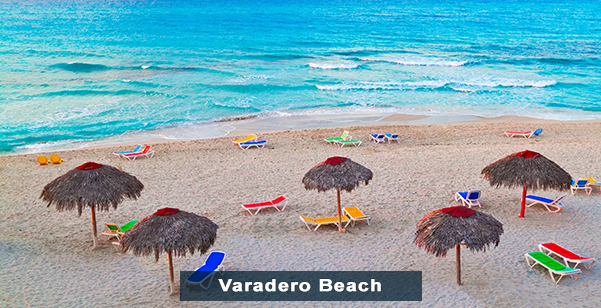 Enjoy Varadero's majestic and world renowned beaches at a five star all inclusive resort. Breakfast, Lunch and Dinner included. Overnight in Varadero. 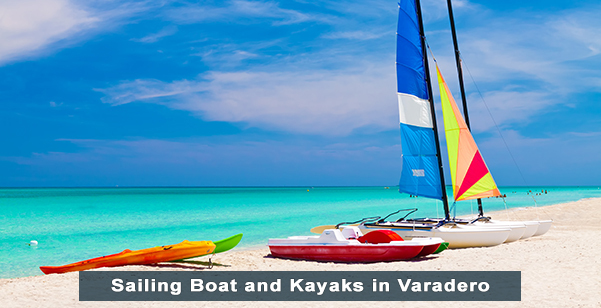 Varadero is one of the largest resorts towns in all of the Caribbean. Most people claim that the world's greatest beaches are found in this fun and entertaining beach town. Enjoy a free day of beach at your all inclusive resort. Breakfast, Lunch and Dinner included. Overnight in Varadero. Hotel Check Out. Our Representative will assist you with any arrangements for your return home.